At approximately 4:03PM, Boston Police received a radio call for a found body. A person walking in Stony Brook Reservation in Hyde Park (District 18) found the body of a deceased adult female. The female victim has since been identified as Amy Lord, 24, of South Boston. The suspect has been identified as Edwin Alemany, 29, of Mattapan. 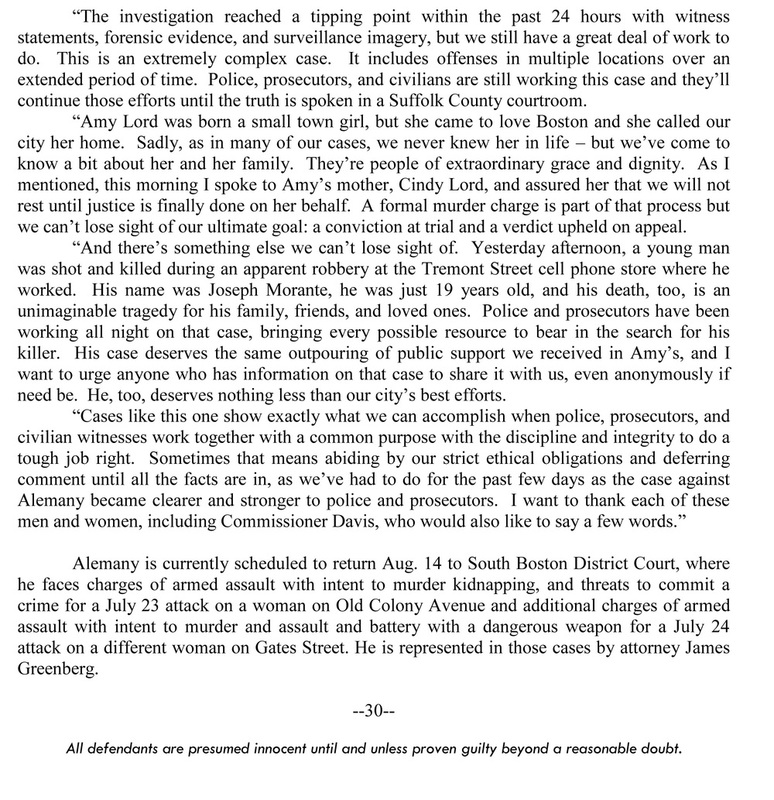 Boston Police Homicide Unit and the Suffolk County District Attorney’s Office, as a result of information received and interviews conducted, charged Edwin Alemany, 29, of Mattapan with Murder in the death of Amy Lord. 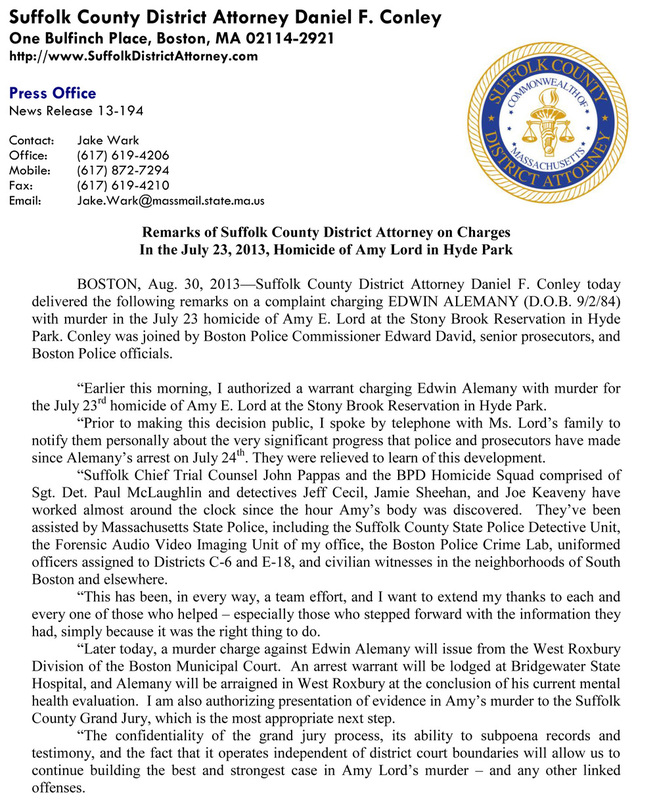 Alemany will be arraigned in West Roxbury District Court.